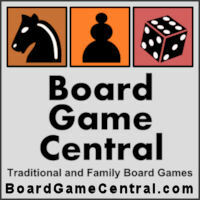 The 2010 edition of Hoyle Puzzle and Board Games is now out and available for purchase. According to the publisher, the latest version includes “Improved Game Logic & Play, plus Tournaments & Leaders Boards”. There are apparently a few new games in the collection, including Big Bang Brain Teasers, Nova Sweeper, Reaction, Remembrance, Echo & Fallacy. I don't know if this is worth purchasing if you already own an older edition, but if you don't own the collection, it's worth checking out. It has very solid versions of popular games such as Backgammon, Checkers, Chess, Dominoes, Mancala, Reversi, and many more classic board games, plus a ton of puzzle-style games such as Mahjong Tiles and Sudoku. Hoyle Puzzle and Board Games is an excellent value even at the $19.99 list price (though it often goes on sale). The package also includes both MacOSX and Windows versions of the games, which is pretty cool. If you're looking for an introduction to a bunch of classic games, this collection is hard to beat. It's going to teach you the right way to play, because all games are designed with rules “According to Hoyle,” the authoritative reference for all things gaming. Note: This is an archive post; it was originally published on September 2, 2009.